Jenn Stark - Urban Fantasy and Paranormal Romance » A Brand New Cover for WILDE CHILD! A Brand New Cover for WILDE CHILD! 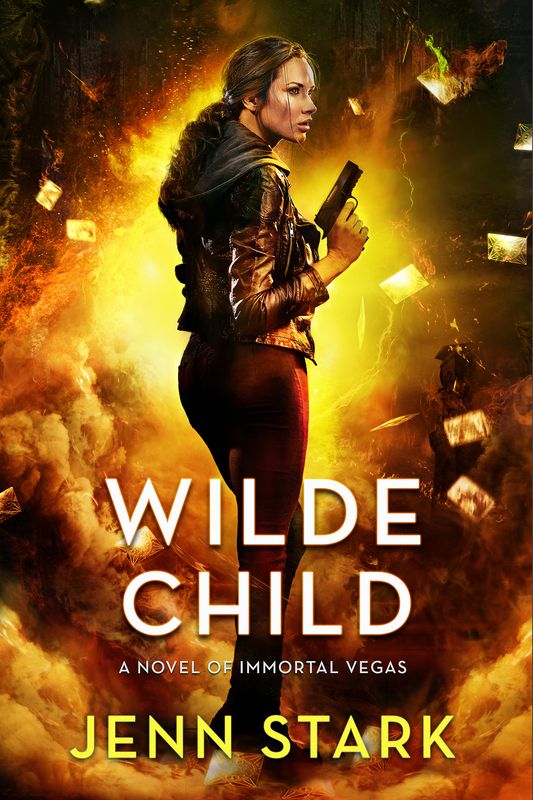 While it’s true I love all my covers, this newest one makes me even more excited to share WILDE CHILD when it launches in May. Sara finds herself in a race against time that takes her once more around the world–to Iceland, Spain, Japan, Las Vegas (of course!) and central Mexico. It’s setting up to be an explosive adventure… I hope you’ll agree! Here’s the cover, designed by Gene Mollica. What do you think? I found Immortal Vegas on Nook, just looking through free books and decided to try it out. I fell in love from the beginning. I quickly devoured the series and can’t wait for the rest! Thank you for sharing your vision with us. I’m an avid reader and, despite my husband calling me crazy, I become emotionally invested in the characters in the series I read. They are truly friends that I laugh and cry with. Your series is definitely one I’m invested in. Thank you, Tina! I’m honored that you’ve made Sara, Nikki, Brody and the gang part of your extended family. I love these characters too and though they’re put through the ringer in Wilde Child, it does bring them closer together! I so hope you enjoy the new book.